Last October a horrific stretch limousine crash killed 20 people and rocked the state of New York. As a result, Gov. Andrew Cuomo wants to introduce a raft of transportation safety reforms including an outright ban on long limos. 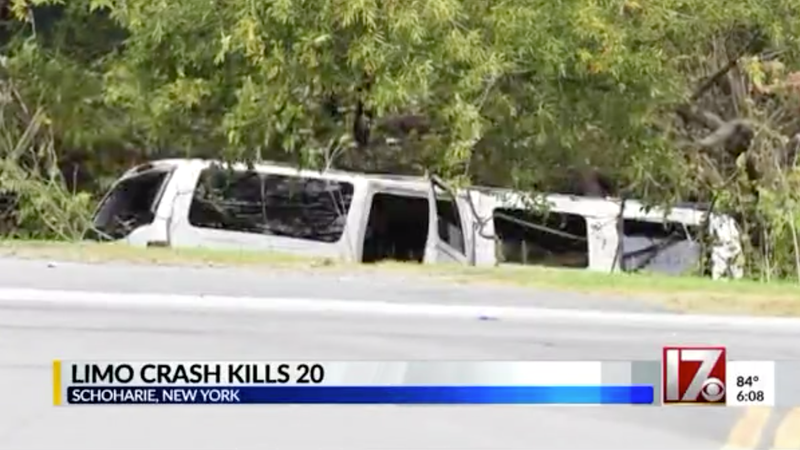 In an event described by the New York Times as the “deadliest U.S accident in nine years,” 17 passengers in a stretched Ford Excursion limousine, the vehicle’s driver, and two pedestrians died in a crash in the small upstate town of Schoharie, NY. The subsequent investigation revealed that the limo had failed its last safety inspection and should not have been on the road. Gov. Cuomo’s office seems to hope that increased regulation will prevent another similarly tragic incident from happening, and is introducing relevant transportation reforms in the 2019 executive budget. The short story is that the governor wants to ban the registration of “remanufactured limousines” and prohibit their operation in New York State. Interestingly, the list of proposed reforms also includes making people wear seatbelts in cabs and school buses. Establish a DOT inspection fee of $120 per inspection for vehicles subject to such inspection. I have to imagine the existing limo industry will have a counter proposal soon. Whether or not any of this is enacted into law it remains to be seen, but even a less comprehensive version of this list would mean pretty dramatic changes for transportation regulations in New York.